The REACT project held its 3rd training of trainers modules in Phnom Penh, Cambodia, from July 9th to 11th, 2018. 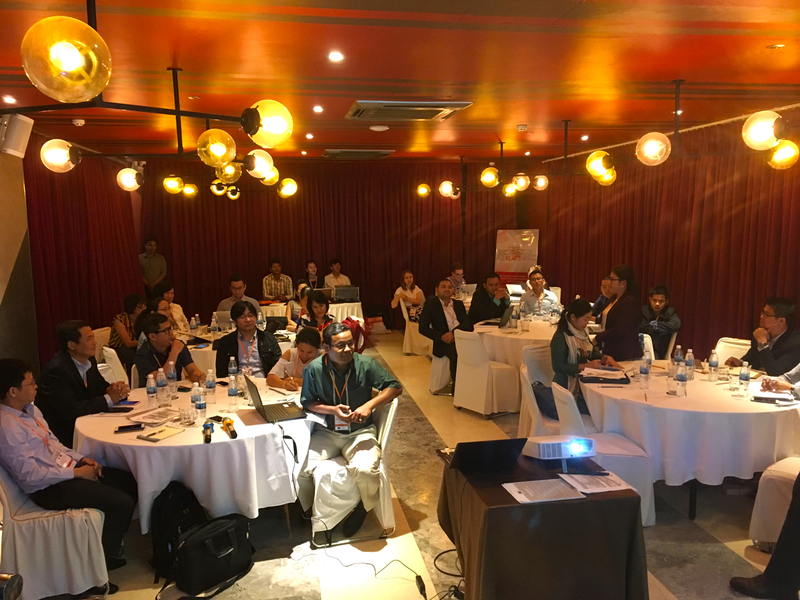 The event was hosted by the Royal University of Agriculture (RUA) and took place at the Sun and Moon Hotel in Phnom Penh. In his welcome to the participants, the Vice Rector of RUA highlighted the importance of sustainable development and Climate Change issues for the Cambodian government and the role of universities to transfer the knowledge on how to adapt to the consequences of Climate Change to the farmers and rural communities. The training was structured along a series of plenary presentations, interspersed with practical exercises done in small groups so the participants could work together on different aspects of drafting a project proposal for a Climate Change initiative. Over 40 people from Cambodia, Laos and Vietnam, participated in the training delivered by experts from REACT partners OGPI - Universidad de Alicante and Institut Euro-Méditerranéen en Science du Risque. Following the training, REACT partners held a 1-day coordination meeting on the campus of UHST, with working sessions centred on the role of the REACT Research & Academic Units in Climate Change and on the set-up of the Network. The training materials are freely available to download from our REACT Repository.